Osteomyology therapy is used as a form of treatment for muscle and joint restrictions and is similar to techniques used for chiropractic, physiotherapy and osteopathy. Joints that are incorrectly functioning through joint restriction and muscle spasm may contribute to irritating nerves and therefore also potentially compromise the function of affected organs and tissues. Croydon Sports Injury Clinic Ltd openly co-manages with Physiotherapists for some patients with sports injuries. Physiotherapy techniques deliver spinal mobilizations and adjustments to your spine and joints to help improve function for improved nervous system control and health. If you’ve been to a chiropractor before and prefer to be adjusted in a particular way we encourage patient interactions, so let us know. 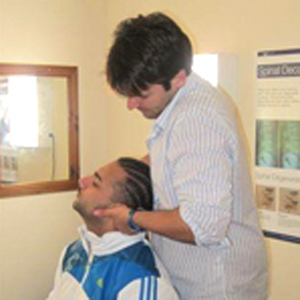 We want you to relax, enjoy and fully benefit from your chiropractic care at Croydon Sports Injury Clinic Ltd.